Wine lovers: This is the big one! 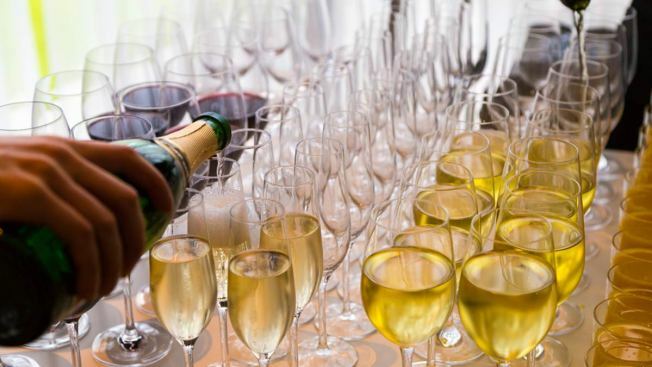 The D.C. area has an endlessparadeofboozeandbeerfestivals, and the D.C. Wine Fest is classily stepping in line with the local tradition of all-you-can-sample sips on Saturday, April 16. Long View Gallery (1234 9th St. NW) will host the tasting, when 10 wineries will be pouring out dozens of favorites like pinots, cabernets, roses. You can also try exotic pours like Hungarian Furmint and French Vouvray. You shouldn't be sampling all that wine on an empty stomach, though. D.C. Wine Fest has lined up Red Hook Lobster Pound and Proshuckers to sell lobster rolls and local oysters. Planners also promise live music. You can grab tickets now for the event. Regular tickets cost $29 (plus a fee) and will get you into one of three sessions. Each session lasts two hours. VIP ticket holders get three hours of wine tasting for $60. They are available on the Wine Fest DC website.